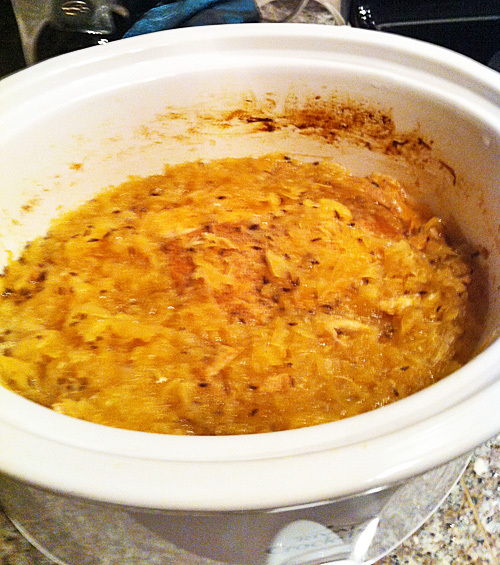 Penn Dutch New Year's Day Pork and Sauerkraut | Let's Cook With Bry! The area of Western Maryland where I grew up is home to many families of Pennsylvania Dutch, Amish and Mennonite descent, and this dish is one of my favorite memories from child – and adult – hood. 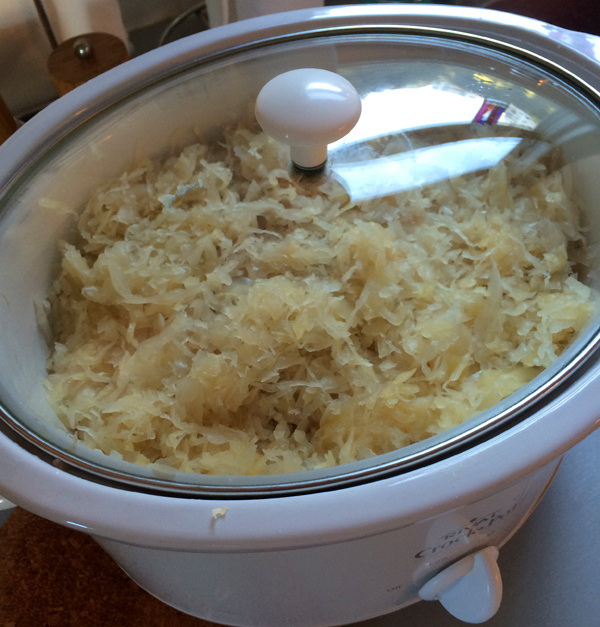 It’s a recipe for Penn Dutch New Years Day Pork and Sauerkraut, which is traditionally served (shock of shocks) on Jan. 1, and is thought to bring good luck and prosperity throughout the year. I make it whenever I’m in the mood for something warm and hearty, and I’ve modified it to suit my own tastes. Cooking it in a slow cooker is the easiest way to do it, though I believe the truly traditional way is to cook it (again, shock of shocks) in a Dutch oven on the stovetop. In your slow cooker or Dutch oven, toss in all ingredients except the caraway seeds and dumplings. Cook on high for 1 hour (if possible) then continue on low for 5 – 6 hours. Toast the caraway seeds and add during the last hour of cooking – toasting the seeds is VERY, VERY important and necessary to the flavor and character of the dish. Potato or Bisquick dumplings can be added when the pork is nearing readiness, and they will sop up the delicious sweet and savory flavors. 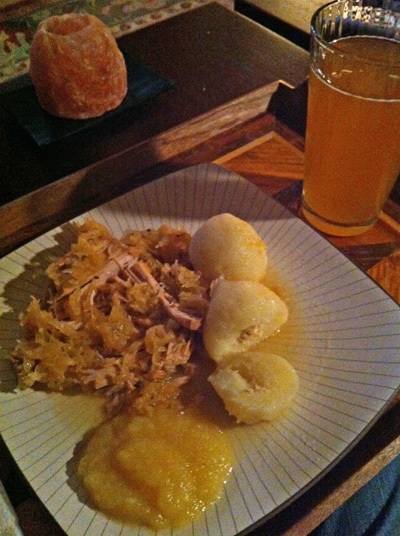 I prefer potato dumplings prepared the German way (formed with a crouton in the center and boiled) and added to the pot several minutes before serving, but my Mom always makes this dish with Bisquick dumplings cooked directly in the pot atop the pork and sauerkraut. Both kinds are delicious with the pork, or you can make mashed potatoes instead. Serve with applesauce, and of course a nice, big stein of beer for a super hearty way to ring in the New Year – PROOST!